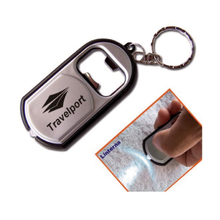 On a dimly lit night, you must want to bring a flashlight at all times, but it's not convenient, so that the custom promotional LED keychain is a good choice for you. The LED light is smaller than flashlight, but it can bring you some light and it is convenient. 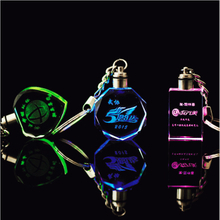 You can take the LED key ring as a unified accessories, so your members will be ready for the black, can also take them as a promotional gifts to increase brand exposure. No matter what kind of use as, the LED keychain all provide the utility that anyone can appreciate, and constantly remind your brand or organization of signs. The LED keychain can always do its job well. 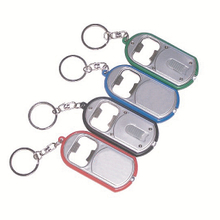 With the customized LED keychain, you can easily and quickly find your keys, it can save your time effectively. As a professional customized keychain manufacturer, we provide you with different kinds of custom LED key rings, and they have different shapes and colors, we guarantee the product quality. Custom service also ready for you, contact us for details now!